MORRISANIA, Bronx (WABC) -- A teenager is seriously hurt after being struck by a hit-and-run driver in the Bronx. 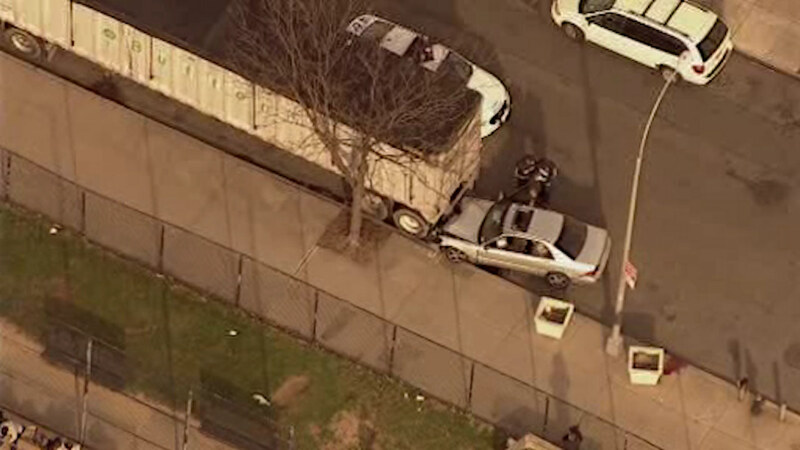 Newscopter 7 was over the scene late Wednesday afternoon on East 165th Street in the Morrisania section. Police say the 17-year-old boy was hit by a white Acura. The car then struck a parked vehicle. The driver then jumped out of the car and fled the scene on foot. So far there are no arrests.